Eight months on from the Brexit vote, Defra Secretary Andrea Leadsom has been slammed for refusing to provide any more detail about the Government’s plans for the future of farming outside the EU. 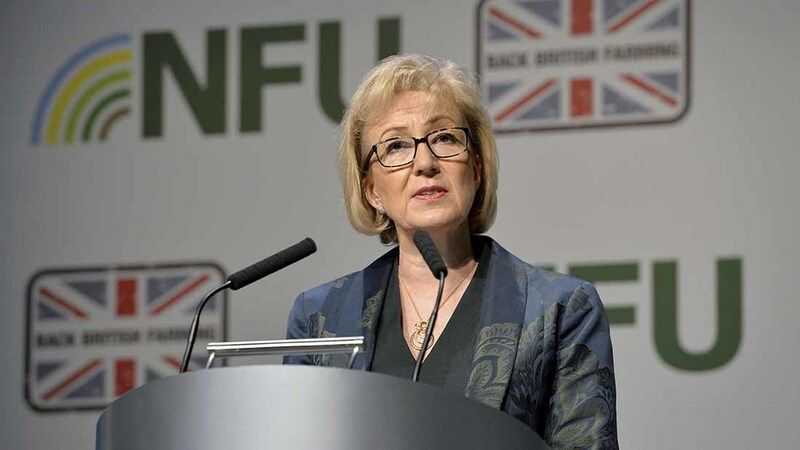 Aside from a promise to offer 75 per cent bridging payments to those still affected by the BPS delay at the end of March and a commitment to maintain high animal welfare standards in trade agreements, Mrs Leadsom’s speech to NFU conference contained little substance. Budget 2017: What do rural groups want? Andrea Leadsom, "I don't have final answers"
She told delegates a post-Brexit farm policy would be based upon five broad principles – trade, resilience, animal health and welfare, the environment and the importance of risk-mitigation. NFU president Meurig Raymond said he was ‘heartened’ by Mrs Leadom’s commitment to prioritise animal welfare in trade deals, but added: “Obviously Mrs Leadsom found it very difficult to actually progress the argument around Brexit. We are still waiting for the Green Paper on the consultation. Liberal Democrat shadow Defra Secretary Kate Parminter echoed his concerns, saying: “This Government is still failing to provide farmers with the clarity they need on Brexit. Access to labour was another area where Mrs Leadsom failed to offer any concrete assurances. Seasonal workers were mentioned, but the Minister did not talk about permanent jobs and reiterated previous statements from the Government that controlling immigration was a ‘key factor’ behind the leave vote in June. The Secretary of State did, however, reaffirm her department’s commitment to the badger cull, adding she would like to ‘extend it further’. She told the conference the strategy was working and Defra was close to declaring half of England officially TB-free. But she said this was no reason to ‘take a step back’, but instead, ‘increase our efforts’ and ultimately end the blight of bovine TB for good.